The following article is from a series for a local newspaper done by one of the site directors of the Association. It is not a comprehensive analysis of the causes of the War, but is concerned mainly with causes related to the Virginia frontier. The letter from Whitehall (palace in London where British government business was transacted) arrived in America in October, 1753. Although addressed to all colonial governors, it found its most ardent executor in Robert Dinwiddie, Lt. Gov. of Virginia. Dinwiddie was a life-long British bureaucrat of some ability. 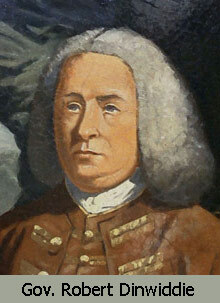 He had gained a good reputation as Surveyor General of Customs for the Southern Part of North America. This made his offer to the Earl of Albemarle to be his on-site lieutenant governor in Virginia quite acceptable. But Dinwiddie’s interest in Virginia was not only that of a bureaucrat looking for a good, lucrative job. In March 1750 Dinwiddie had accepted a membership in the Ohio Company, so he was also tied in with Virginia’s commercial interests. And he had made friends in London including John Hanbury, member of the Ohio Company; Henry Pelham, the prime minister and Lord Halifax, president of the Board of Trade and Plantations. Specifically, the letter ordered British government officials to try persuasion to remove the French from British claimed lands, but authorized force if that was the only solution. Other colonies had little interest or ability in following the directive, but Virginia as one of the strongest and wealthiest colonies was quite able to follow the instructions. With Robert Dinwiddie in the Governor’s Palace, Virginia had an able administrator who would take up the order vigorously, especially since it could advance the fortunes of those (including himself) seeking wealth from westward expansion. Accepting London’s instructions was one thing; putting them into action was another. Although European nations were developing some degree of popular power in government, they were still officially monarchies. This meant that relations between nations were deemed to be relations between monarchs. Therefore, they were conducted with an etiquette that might seem strange to us today. Gov. Dinwiddie understood the letter from London to mean that a formal notice must be sent to the French officially notifying them that Britain saw them as interlopers on British lands and that they must remove themselves or face serious consequences. It was almost like inviting an acquaintance to a dance – a war dance. Dinwiddie quickly set about writing the official notice, but how was he to get it to the French? Gov. Dinwiddie had on occasion employed some of the Pennsylvania traders whom Gist met at Pickawillany; some were Virginia representatives at the Winchester Conference. But when he tried to get Trent or the others to take up a mission to deliver the letter, he found them either engaged in other business or looking after their commercial interests. But there was someone else who had experience in the backcountry and had the youth, strength and stamina to make a journey to deliver the letter. When his brother, Lawrence, died in 1752, George Washington inherited some of his brother’s goods and positions. He became tenant of Mount Vernon (later owner), and he applied for his brother’s position as Adjutant of the Virginia militia. Now that he did not have to work as a surveyor but could live on his income from farming Mount Vernon, George had the opportunity to cultivate those situations that would increase his standing in the colony. Serving as Adjutant in the Militia would give him an income and special importance in society. Dinwiddie reorganized the Militia and made George one of the four Adjutants with the commission of Major. Now George had a commission, but he needed a task to do. He heard about the Governor’s need for an emissary to travel to the Ohio country to meet the French. He applied and got the job. The Adjutant’s new assignment was to be a boon for both men. Major Washington would have the opportunity to test himself and gain notoriety if he were successful, and Dinwiddie would have the chance to thrust Virginia to the forefront in the confrontation with the French. Just as each man got a benefit, so each offered the other something they could not accomplish by themselves. Dinwiddie was fortunate that history had placed at his disposal someone who had the strength of character and physical stamina to handle the task. George Washington also had the ambition to make the best of his situation. On the other hand, Washington had allied himself with a capable administrator who could offer both practical advice and fatherly council. Dinwiddie was in the habit of supplementing his orders with much practical advice and suggestions for assistance. In this case he told Washington to hire Christopher Gist (an Ohio Company employee) as his guide and to find an interpreter and some hardy frontiersmen to assist on the journey. He also told him to be sure to use friendly Indians to the best advantage. Major Washington left Williamsburg the day after his appointment by Dinwiddie and headed for Fredricksburg and Winchester to get supplies. He appointed Jacob Van Braam as his French interpreter. Then he took the “new road” from Winchester to Cumberland following a northwest route that Gen. Braddock would make famous two years later. This took him through the northeast corner of Hampshire County crossing the Potomac at the Little Cacapon. At Cumberland Washington engaged Christopher Gist to be his chief guide. Again we see how the Ohio Company becomes engaged in politics as several of its members or employees end up in important jobs for the colony. He also hired Barnaby Currin, John MacQuire, Henry Steward, and William Jenkins to accompany him. On the way Washington fulfilled two important duties assigned by Dinwiddie. First, he made every effort to gain the support of the Indians. He made a detour to Logstown to meet with the Half King and other leaders and he employed several as scouts and allies. Secondly, the Major took every opportunity to view the terrain and assess its military advantages. He fully expected to return soon either with settlers or with soldiers. 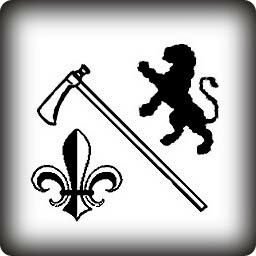 Winter was coming early, and the small band now including Half King and three other Iroquois quickly headed into the wilderness toward the French. Washington's route to the French is shown in green. 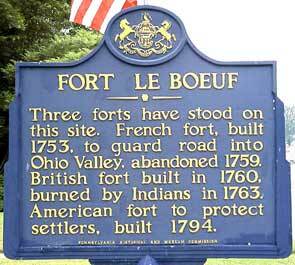 On December 11, 1753, Washington arrived at the French Fort LeBoeuf, a newly built fort at the southern end of the portage from the waters of Lake Erie. Here he presented Dinwiddie’s letter to the commandant and awaited a reply. He made good use of his time while he waited. The French were adament in their refusal to acknowledge the claims of the British. They saw the Ohio River area as important to their need for a quick route to New Orleans, but they also know the economic advantages to be gained by having a strong position there. The French commander promised to send the letter to Quebec, but he gave Washington a concise and unequivocal reply to take back to Williamsburg. The French would not leave. Major Washington wished to get back to Williamsburg as quickly as possible. However, the French were not ready to let the Indians leave without some friendly persuasion. They were masters in Indian diplomacy which often included not only flowery speeches, but also ample supplies of liquor. Finally, Washington was able to sober up the Indians and get his band back on the trail south. The journey proved very difficult and almost cost Washington his life on two occasions. On one he was shot at by an Indian in the forest. On the other he fell into the freezing river and was rescued by Christopher Gist. The journey would have killed an ordinary man, but the young Virginian was beginning to show that he was no ordinary man. Washington finally arrived in Williamsburg on January 16, 1754. The Journal he wrote for Dinwiddie would bring Washington fame beyond his greatest expectation. There were two observations in particular in Washington’s Journal of his trip that bear noting, for they are important evidence of the critical situation in the Ohio region. At Fort LeBoeuf at the southern end of the Lake Erie portage Washington counted 220 canoes and other building material around the fort. He realized the French were well prepared to bring a strong military force down the Ohio River as soon as spring came. The second observation was made on his way back to Williamsburg and was entered in the Journal for January 6th when he wrote, “We met 17 horses loaded with materials and stores for a Fort at the Forks of Ohio, and the day after some families going out to settle.” Even in the midst of a harsh winter, the Ohio Company was sending military supplies and hungry settlers toward the Ohio so they would be ready for spring in a new home. At the moment George Washington was quite unaware of the effect these two things would have on his life and fortune or on the fate of North America. 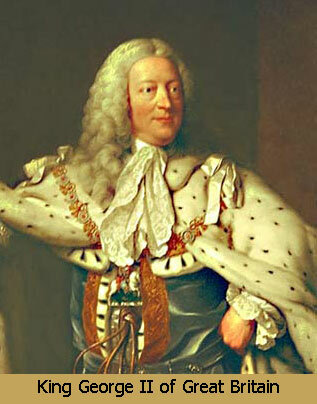 May 3, 1753 Under orders of the new French Governor of Canada, Marquis de Duquesne, Capt. le Mercier begins construction of a Fort at Presque Isle on Lake Erie. July 11, 1753 Mercier crosses the portage from Presque Isle and constructs Fort Le Boeuf on a tributary of the Allegheny River. August 1753 Fort Machault (Venango) is begun on the Allegheny River. Oct. 31, 1753 Major Washington leaves Williamsburg on way to meet French. Nov 14 Washington arrives at Wills Creek (Cumberland, MD). Dec 4 Washington arrives at Ft. Venango. Dec. 11 Washington arrives at Ft. LeBoeuf. Jan 6, 1754 Washington returns to Forks of the Ohio. Jan 16 Washington arrives at Williamsburg with the French reply. April 1754 Dinwiddie instructs William Trent and Ensign Ward to erect a fort at Forks of the Ohio (present Pittsburgh). Robert Dinwiddie: Servant of the Crown by John Richard Alden; The Colonial Williamsburg Foundation, Williamsburg, VA, 1973. Robert Dinwiddie: His Career in American Colonial Government and Westward Expansion by Louis Knott Koontz; The Arthur H. Clark Company, Glendale, CA, 1941. A good source of books on the French and Indian War is the Fort Necessity Bookstore.